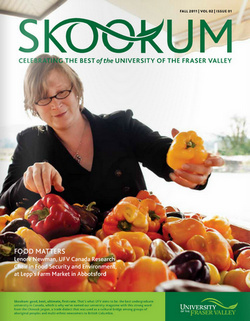 Each issue of Skookum magazine reaches more than 19,000 alumni, donors, employees and friends of the University of the Fraser Valley. Produced twice annually, this full-colour 32-page magazine keeps readers current on the new developments, programs and people connected to UFV. Please contact UFV.info@ufv.ca to book your space.